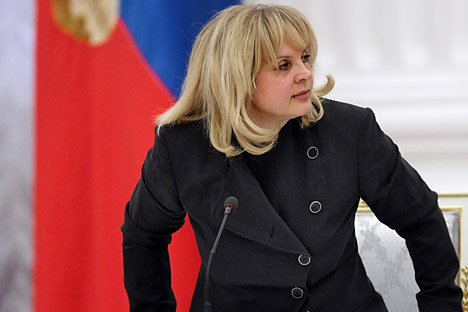 International organizations have decided against sending their representatives for the elections to the State Duma in Crimea but individual observers have announced their plans to come, Russia’s Central Election Commission head Ella Pamfilova said. "No international organizations are due to monitor (elections) in Crimea. Even the Commonwealth of Independent States has refused to do so taking into account that Ukraine is part of the CIS. We normally take the fact that they refused and understand their position," Pamfilova said at a briefing for foreign reporters. Among the observers who have announced plans to monitor the polls on the Black Sea Peninsula are members of the European Parliament, European lawmakers and even an Israeli citizen who has ancestors in Crimea. "They have sent to us lots of requests to be accredited as international observers," she said. Elections to the State Duma, Russia’s lower house of parliament, will be held on Sept. 18 in a split system: 225 members of parliament will be elected by party tickets, while the other 225 are going to be elected in one-seat constituencies. On the same day, 39 Russian regions will go to the polls to elect their legislative assemblies, direct elections of top officials will take place in seven regions. Besides that, around 5,000 municipal elections are also scheduled to be held. The number of registered candidates for the upcoming elections at all levels, from federal to municipal, exceeds 103,000 office-seekers.